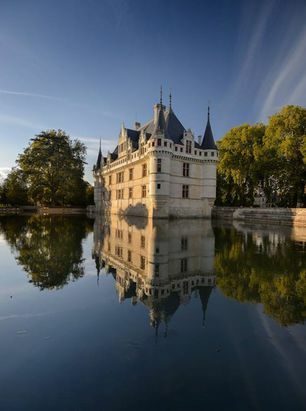 The Château d'Azay-le-Rideau was built on an island in the Indre River under the patronage of King Francis the First. 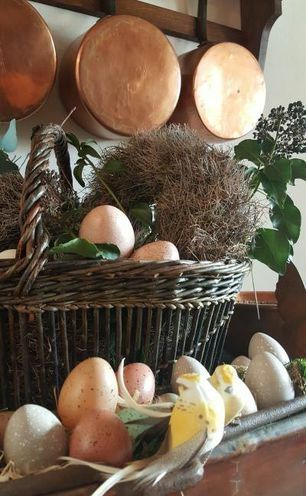 A subtle blend of French tradition and innovative Italian decor, it is an icon of the new art of building in the Loire Valley in the 16th century. 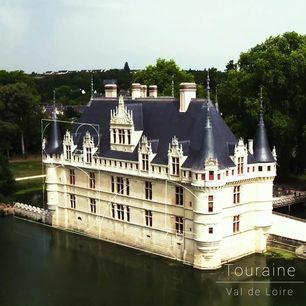 Its successive owners have helped to make it the most architecturally harmonious treasure in the Loire Valley. 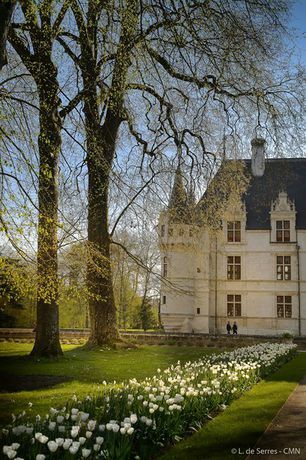 In 1905, the Château d’Azay-le-Rideau came under State ownership. 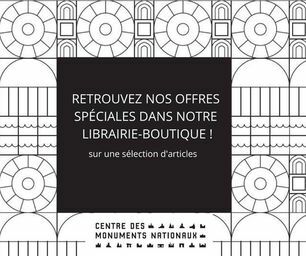 A major restoration project was undertaken by the Centre des Monuments Nationaux. 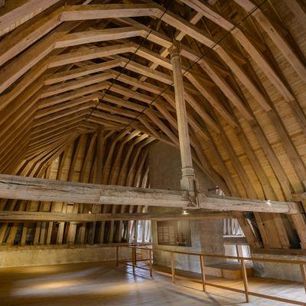 This restoration has fully restored the slate roofing and repair the remarkable early 16th century framework.